In California, a safe business is not a luxury but the law. California Labor Code 6400 requires that “every employer shall furnish employment and a place of employment that is safe and healthful for the employees therein.” Additionally, every employer is required to have on file a written and effective Injury and Illness Prevention (IIP) Program. The state provides a voluntary model to employers to prevent big issues like workplace violence, theft and injury (https://www.dir.ca.gov/dosh/dosh_publications/iipsecurity.html). When it comes to security, California wants to make sure you are protected. . If mandated safety is not reason enough to provide security, California holds 6.4% of the nation’s total charges for Workplace Discrimination, with 50% of these resulting from Retaliation lawsuits. Nearly 3,000 residents file claims annually with the EEOC against California employers around issues related to hostile work environments and employees. Security in California is big business. RAS Consulting & Investigations is located in Los Angeles, California and specializes in Security Master Planning and a variety of employer-related investigation services. RAS provides Outsource Security Management, which encompasses all areas of business security: design, planning, RFP management, policy & procedure development and day-to-day security operations. In addition to securing workspaces, RAS conducts investigations, utilizing modern techniques and technology to secure positive outcomes for clients facing incidents and claims. Our most common initial form of engagement with clients is a Physical Security Assessment. We can walk through your workspace and begin to provide immediate findings and recommendations towards protecting your employees and assets. We also provide group training such as active shooter seminars and simulations, Workplace Violence Training, Cyber Security Best Practices for all employees and executive table-top exercises. RAS can also work with companies to create customized plans to increase preparation in the unfortunate event of unexpected violent incidents. 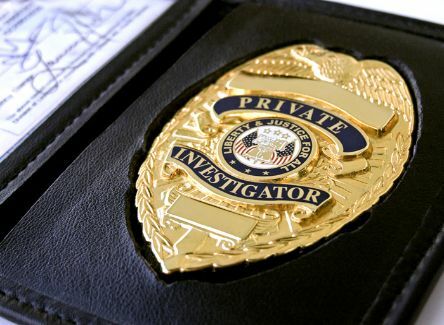 Read more about what Security Professionals and Investigators do for organizations.